Jyotirlingas of Shiva. Bhimashankar is located in the village of Bhorgiri 50 km north west of Khed, near Pune. It is located 125 km away from Pune in the ghat region of the Sahyadri hills. Bhimashankar is also the source of the river Bhima. A unique bell (roman style) can be seen in front of the temple which was presented by Chimaji Appa ( Brother of Bajirao Peshwa and uncle of Nanasaheb Peshwa )Chimaji Appa collected two large bells after he won war against Portugue from Vasai Fort. He offered one here at Bhimashankar. Nagara style of architecture. It is a modest temple yet graceful temple and it dates back to mid 18th century. The shikhara of the temple was built by Nana Phadnavis. The great Maratha ruler Shivaji is also said to have made endowments to this temple to facilitate the carrying out, of worship services. As with other Shiva temples in this area, the sanctum is at a lower level. > Although the structure here is fairly new, the shrine Bhimashankaram (and the Bhimarathi river) have been referred to in literature dating back to the 13th century CE. 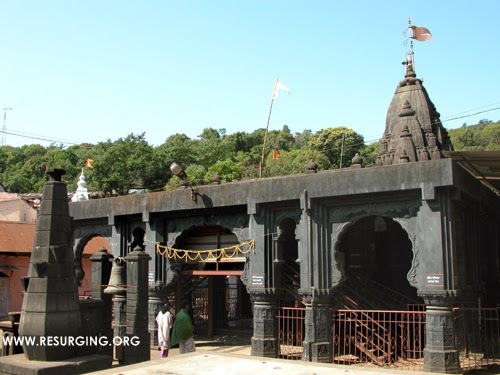 Saint Jnaneshwar is said to have visited Tryambakeshwar and Bhimashankar. > This temple in the Nagara style is an old and not a very large structure. 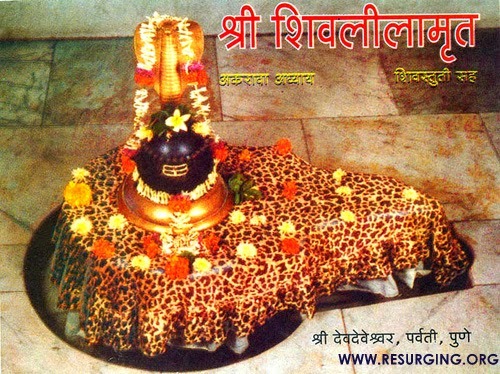 The jyotir Lingam is situated on top of the Sahyadri hill temple. Lord Siva is considered to be taking rest here after the Trpurantaka samharam. The sweat drops of Lord Siva were converted as steam & is running as Bhimarati. New structures have been added. There are two idols of Nandideva. One idol is old, while the other is of fairly recent addition. There is a theertham & a well behind the temple structure. The Bhimashankarar Lingam measures around one and a half feet & quite narrow. The Goddess is worshipped as Kamalaja. > Far away from the tumult of the urban life, peeping through the white fleecy clouds, Bhimashankar, one of the twelve Jyotirlingas, can certainly be termed as a Pilgrim Paradise. The dense forests surrounding the high ranges also play an abode to the rare species of flora and fauna. Situated at the extreme end of the Sahayadri Ranges, this place gives a wonderful view of the world around you, the forts, the rivers and the hill stations around. Bhimashankar is also the source of the River Bhima, which flows southeast and merges with the river Krishna. Endless stretches of virgin forests, lofty peaks that seems to reach out to the heavens and the whispering waters of the River Bhima, Bhimashankar is definitely one of God’s choicest creations. It seems as if Lord Shiva is keeping a silent vigil over the majestic ranges of the Sahayadris. The serenity interrupted only by the silent murmuring of the cool breeze and the occasional chirping of birds, Bhimashankar is definitely a pilgrim’s paradise, a trekker’s delight and a traveller’s sojourn. In some classics like Shiva Leelamrit, Gurucharitra, Stotraratnakar etc., BheemaShankara is described as a woman. Gangadhar Pandit, Ramdas, Sridhar swamy, narahari Malo, Gnaneshwar, and other saints describe BheemaShankara as JyotirLinga. > Historical figures like Chatrapati Shivaji and Rajaram Maharaj were known to visit this shrine. This was a favourite palce for Peshwa Balaji Vishwanath and Raghunath, Raghunath Peswa had a well dug up here. The Diwan of the Peshwar, Nana Phadanvis renovated this temple. A court hall was built by a Pune trader or Sahukar by the name Chimanji Antaji Nayik Bhinde in 1437 AD. > The temple of Bhima Shankara is built in Hemadpanthi style. It is decorated with the Dashavatar statues. These are very beautiful to look at. The Nandi temple is close to the main temple. A huge bell weighing 5 mans(1 man=40 seens) is located close to the temple. It has 1721 AD inscribed on it. When this bell is rung, the entire temple echoes with its sound. > The worship of BhimaShankar is done, with Rudrabhishek, Panchamrit snan, everyday. The Lord is praised in rich words. On Mondays as well as other days, lot of devotees flock here for Darshan. A big fair (mela) takes place on Maha Shivaratri festival. The natural scenic beauty of this place is wonderful to look at. > The Temple can be divided into three parts-Sabhamandap, Kurmamandap and Garbhagriha. The Sabhamandap is spacious and has counters of puja/abhishek registrations. Here one can see purohits explaining about different pujas to devotees. The present Sabhamandap was built in the year 1960.The main temple and its shikhar has intricate stone carving, which makes ornamentation of the mandap quite dull. > There are independent temples of Shani Maharaj and Nandi idols adjoining to main temple. The main Bhimashankar temple is surrounded by Shri Ram, Dutta, Vitthal and Mataji temples. From Dutta temple one can see beautiful kalash and shikhar of main Bhimashankar temple. Garbhagriha - 25 to 30 people can be in the garbhgriha at the same time. Swayambhu Jyotirlinga is in an underground chamber that glows in the lamp light. It is the only Jyotirlinga, where people offer marigold with bilva to Lord Shiva. Devotees circumambulate the Jyotirlinga adding to the heap of scared bilva leaves and marigold that cover it. The yoni is clad in etched silver. Darshan Protocols - In the main temple one sees Nandi idol followed by goddess Parvati and before entering garbhagriha. After puja/abhishek to the Jyotirlinga one comes out from the same route. In the premises is temple of Shanimaharaj and Nandi temple followed by a place of akhand dhuni. The Dhun of Guru Gorakhnath is maintained by the Nath Sampradaya even today. Then come temples of Shri Ram, Dutta, Vitthal and Mataji and also visits the holy kund. Next the main temple is Shri Ram temple. The present temple was built in a memory of a lady Taibai Arnaji Konkane. The devotees also offer peda (a sweet) to Bhimashankar. > There was a demon Tripurasura who did penance in the jungle of Bhimashankar very long ago i.e. in Tretayug, to please Lord Shiva in order to achieve the gift of immortality. Lord shiva, who is specially known for his kindness towards his devotees, was pleased with Tripurasura's commitment towards him. So as usual, he blessed him with the power of immortality with a condition that, "He should strive in the best interest of people, or he may be sued permanently for violating the condition." > With the flow of time, Tripurasura forgot the condition to which he was abided, and eventually started harassing people as well as other deities. There was a chaos for which all the deities approached Lord Shiva for remedy. > Thus in order to sue Tripurasura, Lord Shiv prayed to Goddess Parvati (Kamalaja Mata) in order to help him to accomplish this task. Accordingly Lord Shiva and Goddess Parvati underwent a new form which is popularly known as "Ardha-Narya-Nateshwar" and killed Tripurasura on Kartik Pournima which is known as "Tripurari Pornima". > After the death of Tripurasura his wives (Dakini and Shakini) went to Lord Shiva with a question of their existence without Tripurasura. Thus Lord Shiva blessed both of them, with the power of immortality which he did to Tripurasura. Henceforth the realm Bhimashankar is known as "Dakinyam Bhimashankaram". The temple is managed by Shri Kshetra Bhimashankar Sansthan and the management has fixed the rates for different pujas/offerings. This is the only place where the devotees have two options to offer a puja for a particular day or special days in a year. There are two categories-one Monday or four Mondays and One Pradosh & One Amavasya. The rates are:Abhishek-Rs.51 & Rs.351,Rudrapath Abhishek - Rs.151 & Rs.1051, Panchamrita Abhishek by offering milk - Rs. 351 & Rs.2451, Panchamrita Rudrabhishek with milk and 108 Bilvapatra Mahapuja - Rs.551 & Rs.3851,Simple Laghurudra - Rs.1101 & Rs.3801, Laghurudra with Shri Bhimashankar Bhig - Rs.1501, Laghurudra with Bhimashankar Bhog and five Brahmin Bhojan-Rs.2101, Daily shravan month puja - Rs.1101,Abhishek with 108 Bilva patra in holy shravan - Rs.1551, Rudrabhishek in holy Shravan-Rs.2101, Daily Rudrabhishek & special Bilvarchan Shravan Puja - Rs.5101, Shravan Puja, Special Bilvarchan and to offer Bhog to Lord Shiva - Rs.11,001. Devotee has to register details at Puja registration counters in the temple. The purohit provides a receipt. The Prasad of such puja would be sent by post at devotees address. Ancient Hindu scriptures narrate different locations of Bhimashankar. There is a Bhimashankar temple in Brahmapuri hill near Guwahati in Assam. The legend is that demon Bhima was killed by Lord Shiva. The demon was trying to kill king Kamarupeshwar engaged in the worship of Lord Shiva. The Shiva puran and the Koti Sahmita refer to Bhimashankar temple in the Kamarup country, the present Assam. However, there is also a reference of Mount Sahya, where it is stated that Lord Shiva in the form of Bhimashankar emerged in the Sahyadri range of hills. There is also a Bhimashankar temple at Kashipur near Nainital in Uttarakhand state. This area was referred as Dakini country in ancient time. The story is that Bhima of Pandav fame was married to Hidamba, a dakini here. The temple has shrines of Bhairavnath and devi. Moksha Kund - It is the first place to visit after having darshan at Bhimashankar Jyotirlinga and surrounding temples. The place is 500 meter away from main Bhimashankar temple. 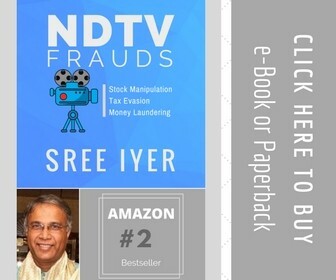 Here sage Kaushik had a long penance. 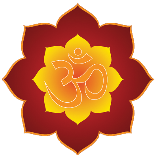 Moksha means salvation. The story narrates that the ancestors of Ruchik, a disciple of sage Kaushik was bachelor and hence his forefathers couldn’t get salvation. Ruchik requested sage Kaushik to help him out. Sage Kaushik therefore created a kunda (pond with water from his kamandal (wooden water pot).To respect his penance, river Bhima emerged in the pond. Ancestors of Ruchik bathed in it and finally got salvation. 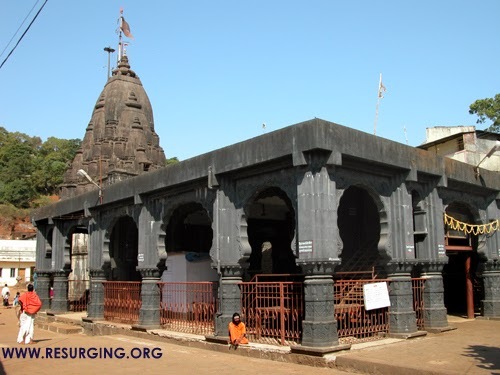 Other place of interest is sakshi (witness) Ganapati temple, which is 2 km from Bhimashankat temple. Kamalajadevi Temple - Kamalajadevi Temple has goddess Kamalaja who played a vital role in battle between Lord Shiva and Tripurasur. It is said that Lord Brahma was also used to worship Kamalajadevi with offerings of lotus flowers. Matheran Point - It is a place 500 meter away from from Bhimashankar and from here one can see the different parts of Maharastra like Matheran, Raigarh, and Thane Hanuman tale or Krida Tirtha is a place located 2 km from main temple. It was a sports ground of Lord Shiva and Parvati.It is also a place of sage Javali. There are temples of Hanuman and his mother Anjani at this place. Other places of interest are Vanaspati Point, Mumbai Point, and Bhoragarh etc. Bhimashankar wildlife sanctuary - Tucked away in the Sahayadris, the Bhimashankar Sanctuary is home to a variety of endangered species of flora and fauna. The dominant species of flora are Mango, Hirda, Behda, various medicinal herbs, bamboo and fern. The Giant Indian Squirrel is one of the major attractions of the sanctuary. The other species found in the dense forests are Panther, Sambar, Mouse Deer, Hyena and the Wild boar.